THE WISDEN – MCC CRICKET PHOTOGRAPH OF THE YEAR COMPETITION WAS LAUNCHED IN 2010. It is open to all photographers – amateur and professional – from across the world with the only stipulations that entries must have been taken during the year of the competition and in some respect have a cricket theme. The winner and two runners-up are featured in the colour photo section of the Wisden Cricketers' Almanack, and since 2012 the eleven shortlisted photos have been displayed at Lord's during the following season. The 2018 Wisden-MCC Cricket Photograph of the Year competition is now closed. The winners will be announced on Wednesday 10th April. Stu Forster of Getty Images took the winning photo of the 2017 competition which was a shot of Katherine Brunt taking a selfie with the rest of the England side, having defeated India in thrilling fashion in the 2017 Women's Cricket World Cup Final at Lord's. 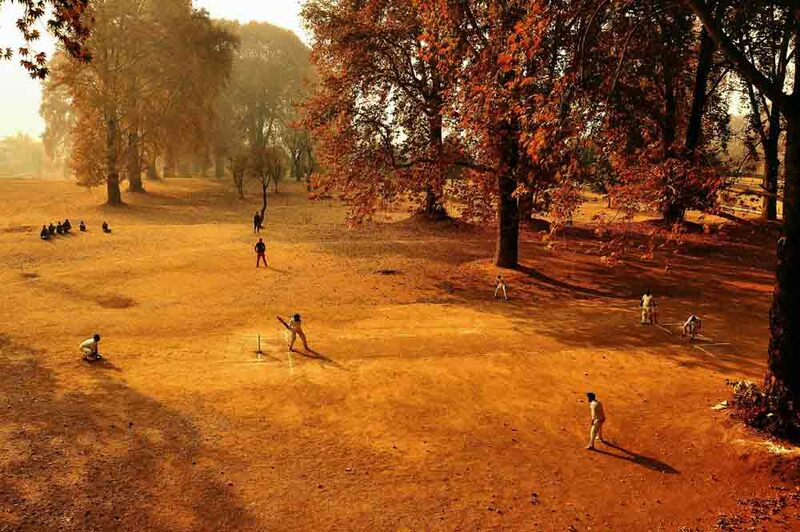 The winner of the 2016 competition was announced on Sunday 3 April 2017 as Saqib Majeed, for his image of a boys’ cricket game in the Mughal gardens of Srinagar. The winner of the 2015 competition was announced on Friday 8 April 2016 as Robert Cianfone, for his image of Craig Simmons breaking his bat during the Big Bash League. The winner of the 2014 competition was announced on Wednesday 8 April 2015 as Matthew Lewis, for his image of West Indies' Dwayne Bravo taking a superb diving catch. 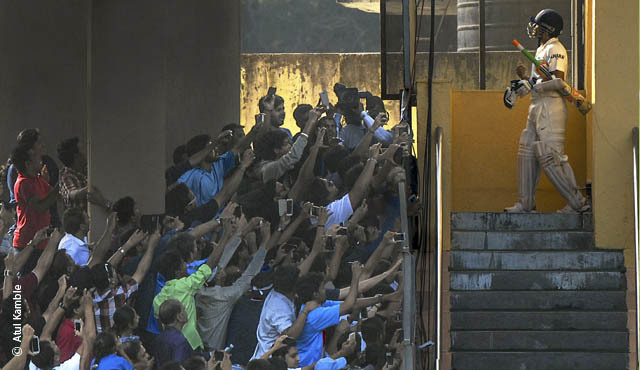 The winner of the 2013 competition was announced on Wednesday 9 April 2014 as Atul Kamble, for his stunning image of Sachin Tendulkar before the Indian legend's final Test innings. The winning images for 2018 will be selected by a panel of independent expert judges appointed by Wisden and MCC, and headed by Chris Smith. Chris Smith has been Chief Sports Photographer for various newspapers, including, for over 30 years, The Sunday Times. During this time he has covered every major event in the sporting calendar, in a diverse range of sports such as rugby, football, horse-racing, cricket, athletics, sailing and boxing. Chris has been British Sports Photographer of the Year four times, and winner of the Sports Picture of the Year award twice. Patrick is widely recognised as the doyen of cricket photography. After over forty years of covering the sport, he announced his retirement at the conclusion of the 2011 season. During his professional career he photographed 325 Test matches all around the world and has published thirteen books. Nigel was Art Director of The Cricketer magazine (formerly The Wisden Cricketer and Wisden Cricket Monthly) from 1997 - 2015. Kevin is a music photographer who has been published in seven monographs and exhibited worldwide. His photographs are in the permanent collections of many galleries including the V&A and the NPG in London. He was awarded an honorary doctorate (arts) by Manchester Metropolitan University in July 2015. Diana is a Senior Production Manager at Sunset+Vine, joining the company when they began to produce Channel 4’s international cricket in 1999. She has worked on cricket television coverage around the world for Channels 4 and 5, Sky, BT Sport and the International Cricket Council. Adrian is a multi-award winning cricket photographer, former Senior Vice President of Getty Images and joint Managing Director of Allsport. He is co-founder of photo agency SilverHub.